Panic Disorder (PD) is a kind of anxiety disorder that is characterised by reoccurring, sudden attacks of intense fear without any obvious cause. These attacks, called panic attacks, involve a number of unpleasant psychological and physical sensations, including shortness of breath, dizziness, heart palpitations and sweaty hands. 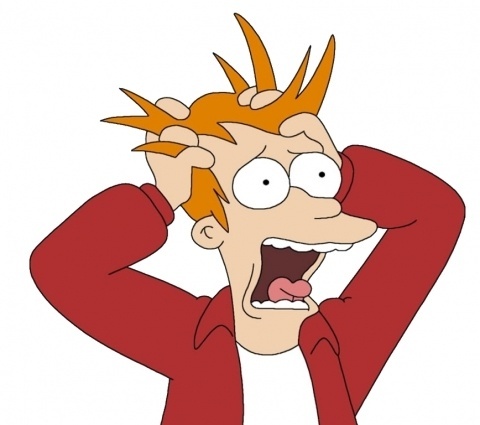 This article looks at how to believably portray Panic Disorder in your creative fiction. A panic attack usually lasts for about ten minutes. The first sign is usually a wave of adrenaline and noradrenaline that surges through the bloodstream in preparation for the fight or flight response. It’s common for sufferers to feel a panic attack even in their bowels. Despite the absence of an obvious threat, the panic can be equally as intense as if one was confronted with a terrorist mass shooter. One unpleasant feature of these attacks is that they can stir many different kinds of fears. Some panic attacks make the victim afraid of dying, whereas others make them afraid that they will lose control and become a screaming mess (even though this is extremely rare). In some ways the experience is like a tour de force of terror. Perhaps the most difficult thing about this condition is that panic attacks are so unpleasant that they can be traumatising, and this creates fear of future panic attacks, which is often enough to itself cause a panic attack. So a person with the condition can end up learning to fear situations which may cause panic, and this can lead to social isolation in a similar fashion to agoraphobia. If the protagonist of your story has panic disorder, it is likely that they have to live a life somewhat on the outside. Panic Disorder makes it difficult to socialise, especially when a person starts to become afraid of future panic attacks. This can lead to an everyday experience of constant misery, as the protagonist starts to twist themselves up in knots of over-thinking and anxiety. An interesting story can be told about a normal life that starts to break down because of Panic Disorder. It’s common for a sufferer of the condition, at least in the initial stages, to be unaware that they are suffering from a recognised psychiatric condition. The panic attacks can be embarrassing, on account of that they have no obvious cause, and it’s easy for a person who suffers them to consider themselves mentally weak rather than sick. They can seem to come out of the blue. People with Panic Disorder tend to develop a fear of the places in which they have had panic attacks, by way of association. This is one of things that makes the condition so disruptive. Even something as simple as going shopping can become an ordeal if a person is afraid that the experience will trigger a panic attack. Because much of the suffering of the condition is caused by fear of the next attack, certain places can themselves become intimidating. If a character in your story encounters another character with Panic Disorder, how the first character reacts will tell the reader a great deal about their level of compassion. Because panic attacks can be set off without any obvious cause, the suffering is in the mind. This means that people who need help and reassurance from others can usually only get it from especially empathetic people. A character who helps out another one suffering a panic attack might demonstrate their nature to the reader. A character with Panic Disorder might have a very complicated relationship with drugs. Many people with the condition have found that alcohol, cannabis, tobacco etc. has a short-term, immediate effect of quelling the panic, but have also found that using these substances makes a panic attack more likely once they have worn off. A character taking drugs to treat their anxiety might not have figured the second point out yet. In contrast with Generalised Anxiety Disorder (GAD), Panic Disorder tends to come in sharp spikes or groups of attacks. GAD is an ever-present background hum of anxiety, whereas people with Panic Disorder can often live entirely normal lives until the panic kicks in. When people with Panic Disorder are anxious, it is usually because of a particular fear of another panic attack rather than anything general. Mass Panic Disorder is not a condition in the DSM, but the author might still like to use the phenomenon in their creative fiction. A contagious panic attack might be the event that leads to mass destruction of part of your story world, leading to the disruption of the life of one of your characters. An explosion might cause a mob reaction that a character gets caught up in.